This Festive Season we will be featuring a Christmas Message from some of our artists that we were able to get in front of a camera when they passed through the UK. 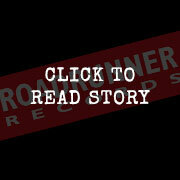 We also enlisted the help of our friends at Roadrunner US and Roadrunner Australia – thanks guys! Each day we’ll be featuring an artist with their Christmas Message and other content. There will be some exclusive clips and playlists thrown in for good measure so stay tuned for our daily Christmas update…Ho! Ho! Ho! Today’s artist is STAIND and you can find their Christmas Message by clicking this link. Hover your mouse over the image and click the links you want to watch / listen and or be directed to. You can share the image on your Facebook or Twitter (with all the links embedded) by selecting the ‘share’ button at the top lefthand side of the image. Share the STAIND joy and festive wishes! We will be featuring two artists at a time on our Facebook page but you can find the collection of Christmas Message images over on our Christmas themed Tumblr page by pointing your mouse in this direction.